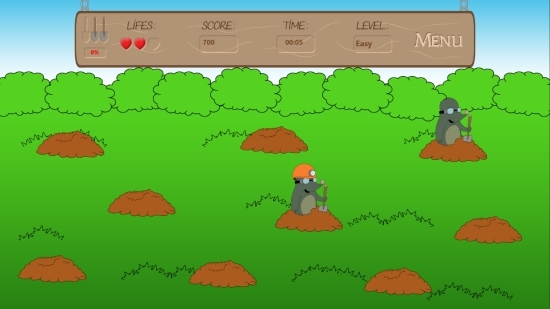 Hit The Mole is a free Windows 8 fun game app in which you have to wisely hit the moles that come out of the holes dug in a garden/ field. You have to hit as many moles as you can to score more points. The free Windows 8 fun game is very simple to play with easy game controls. There are three levels of difficulty. You have to score well in a level to unlock and play the next level. The interface of the game looks pretty interesting with vibrant colors and cartoon graphics.The instructions for playing the game are also clearly mentioned in the app. Hit The Mole is freely available in Games category of Windows Store. You can view the app directly in Windows Store by clicking on the link given at the end. Let’s have a look at how to play this game. 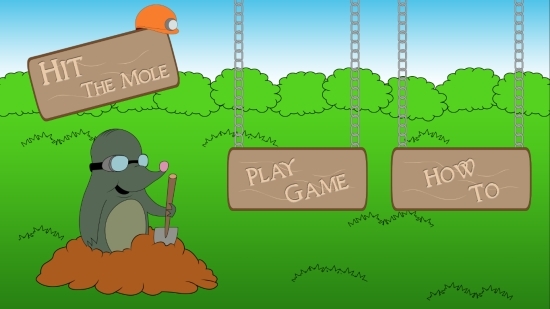 The game looks simple but it’s a challenge to hit moles that frequently appear and disappear from the holes in the garden. To play the game, install it on your Windows 8 system. As you land on the Start screen of the app, it will display two options: Play Game and How To. Click on How To option to read the instructions for playing the game. Then click on the back arrow button displayed on the top left corner of the screen to go back to the Start screen. Now, click on Play Game to enter the first level called Easy level. The next screen will display a nice green garden full of holes. Moles will frequently keep appearing and disappearing out of these holes. Hit the moles by tapping on them and score points. Your score will be displayed on top of the screen. You will be given three lives to play a level. Some moles will appear wearing a helmet. Try not to hit such moles as they will not suffer any damage. Instead, you will miss a life by tapping on them. Try to hit appropriate moles wisely as you will just be given one minute time to do so. A timer will also be displayed on top of the screen. Your game will be over once you lose all three lives. You scores will be displayed along with comments on your performance. Also check Building Tower, Wake Up, Arnie! Free, and MathFloat. Hit The Mole is a simple game app freely available in Windows Store. 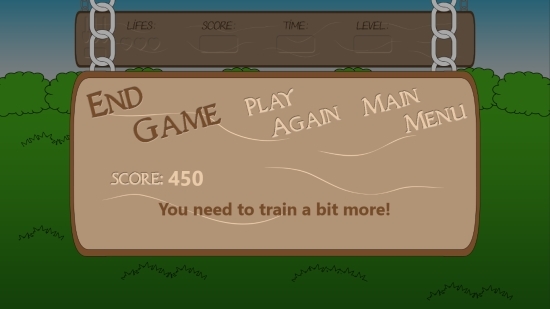 The game looks simple but you have to hit the moles wisely keeping the time limit in mind. Try this app and share your feedback via comments. Get Hit The Mole here!